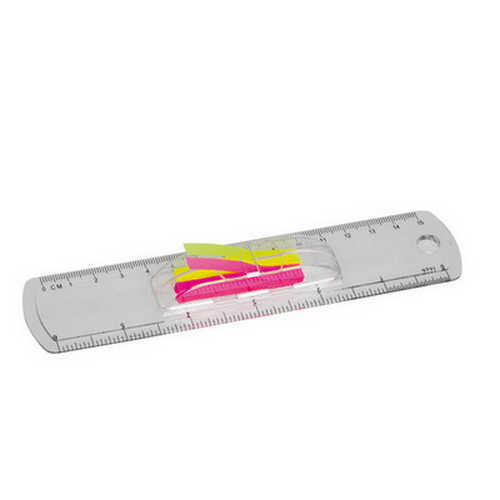 6/15cm plastic ruler. Handy stationery flags. Flags can be easily replaced. Avaialble in clear. Product Size: 170 x 38 x 18mm. Product Packing: Bulk packed. Decoration Size: 25 x 15mm. Decoration Position: Front face. Decoration Method: Pad Print. Carton Quantities: 768. Carton Size: 59 x 37.5 x 39.1. Carton Weight: 15.44. Colour: Clear. Price includes : Pad Print 1 Colour / 1 Position. Setup is included.